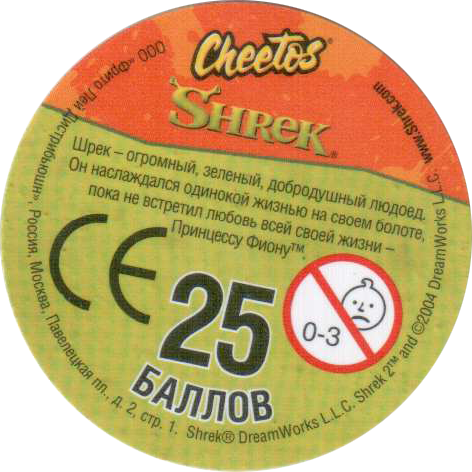 Info:Shrek caps were given away with packs of Cheetos in Russia. 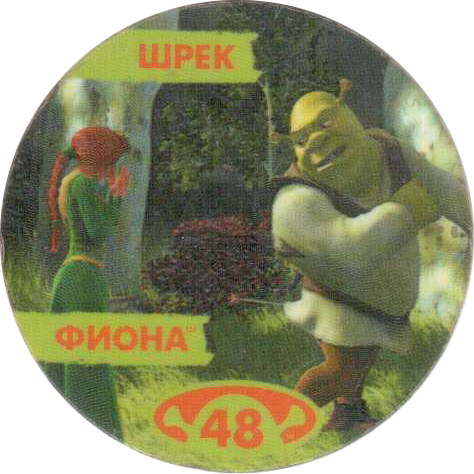 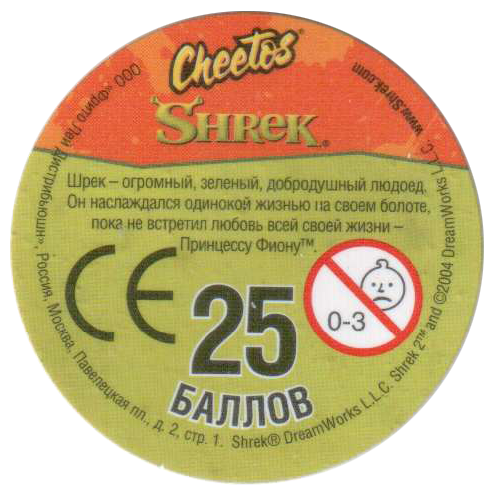 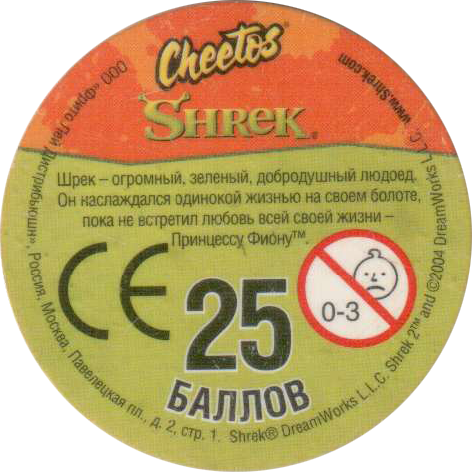 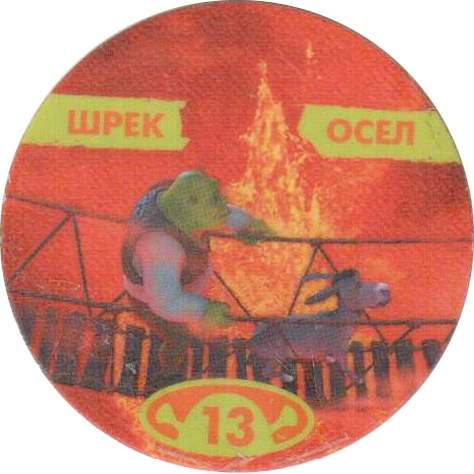 The pogs feature characters and scenes from the Dreamworks film Shrek. 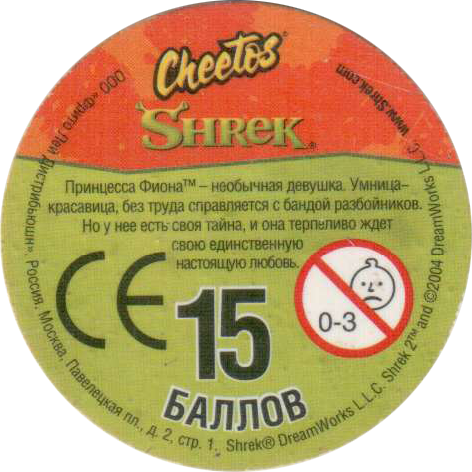 On the back of each cap it has a short quote / description of the scene that is depicted on the front. 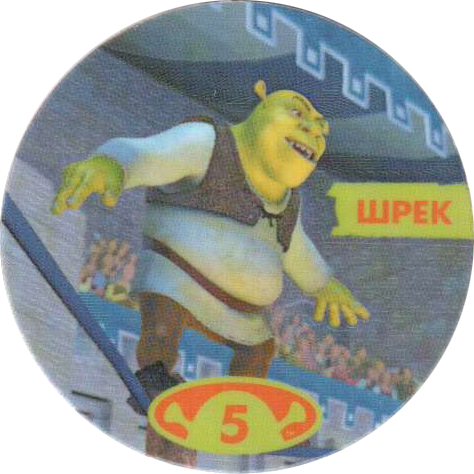 It also gives a point score (баллов). 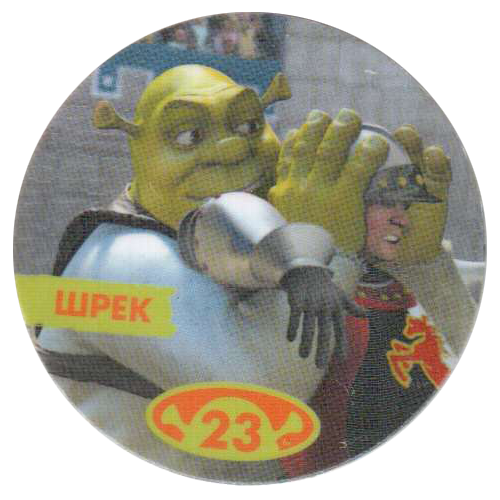 Thanks to Чугайнов Павел for these scans.